Too many protein bars tout to be great sources of protein for grab and go, pre- and/or post- workout nutrition, but most fall extremely short and are just crappy tasting candy bars. Full of so many forms of sugar, under different names and things we can't even pronounce! 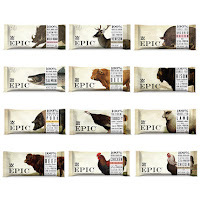 Epic has several Paleo bars to choose from…beef, chicken, bacon, turkey, wild boar, bison, etc. All are paleo, dairy-free, gluten-free, soy-free, and sweetened with fruit. Calories range from 80 calories to 150 calories and the protein ranges from 8g to 15g. How do they taste…of all the ones I've tried…good, although some are a bit salty for me. They may not be for everyone (they are made using Cricket flour…yes those kind of Crickets! ), but that's because we are snobs. According to the eXo website, 80% of the world already eat insects on a regular basis and Cricket flour is 65% protein almost twice as much as beef jerky (33%). They have no gluten, grain, soy, dairy or refined sugar. All of the bars are over 250 calories, so they are basically a meal replacement bar as opposed to a quick hunger fix. 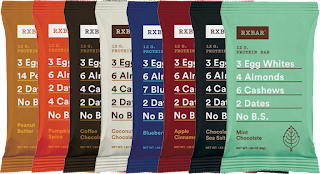 All bars are 10g of protein. How do they taste…surprisingly good. The RXBARs are gluten, soy, dairy, and refined sugar-free with very few ingredients, although I'm not a big fan of seeing the ingredient "natural flavors" on a few of their bars. All the bars have 12g of protein and use dates or fruits to sweeten. All the bars are 200 to 210 calories. How do they taste…of all the ones I've tried…ok. I was really disappointed in these bars. They are so chewy and hard I was afraid I was going to pull a tooth out. The Primal bars are gluten, soy, dairy, and refined sugar-free with very few ingredients, however, one does have coconut sugar. 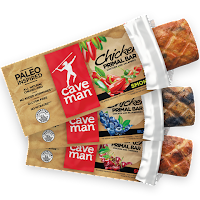 Unlike the Epic Bar, Caveman only uses chicken for these similar style meat protein bars. However, they do have four different flavor combinations. 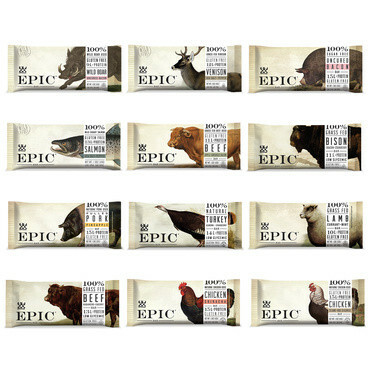 All of them are 18g of protein the highest among the cleaner bars I've tried and all are around 150 calories. How do they taste…of all the ones I've tried...good. I actually like the Exo Bars the best. I just wish they all had more grams of protein. The quest will continue to find a super clean protein bar with high protein. What are some of your favorite bars?